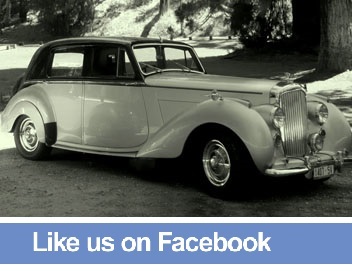 We are privately owned and operated wedding car Hire Company, servicing Adelaide and Adelaide Hills. We offer to hire very fine old English vintage cars for weddings, special occasions or any marketing or promotional activities...The classic Bentleys MK6 are the most popular cars used for romantic weddings today. These truly beautiful cars ooze charm and guarantees to draw attention wherever they go... Interior of vintage Bentleys' is airy and spacious... Soft cappuccino coloured leather seats are comfortable, with plenty of leg room... especially the back seater... You are very welcome to view our fleet and have a chat.... We are happy to tailor a suitable package, when you make decission to use our BENTLEYs for your wedding transportation. We are devoted to deliver service personalised to your needs and style. 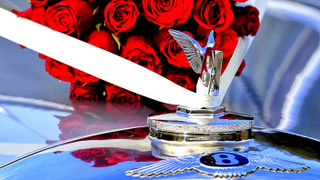 Our cars has been fully restored to their original classical beauty and they are are in great conditions inside out … All cars are washed and polished to look their very best on your special day. We operate 7 days a week. Bookings in advance are essential. All our drivers must hold accreditation under the Passenger Transport Act 1994. The purpose of accreditation is to ensure that certain safety, efficiency and competency standards are met. Our drivers are professionals with excellent driving abilities and helpful manners. They are fully licensed and registered. Our drivers wear uniforms and hat. Our prices are very competitive, given quality and unique style of our vehicles. Hire includes refreshments for bridal party during the photography, red carpet and ribbons. Week days bookings are 10% cheaper than weekends.